Los Angeles River west of Balboa Blvd. On a day like today, following another mass assault on our own humanity, it can be difficult to see the world as a positive place. But we all have a choice and I choose to reach out to people making positive differences in the world. Walking the Los Angeles River we have seen the neglected waterway being embraced and re-imagined as part of our communities. The neighborhoods we have walked through so far have been as varied as the River. We all should step out of our own neighborhoods more often to understand the lives of people we think are different from ourselves. 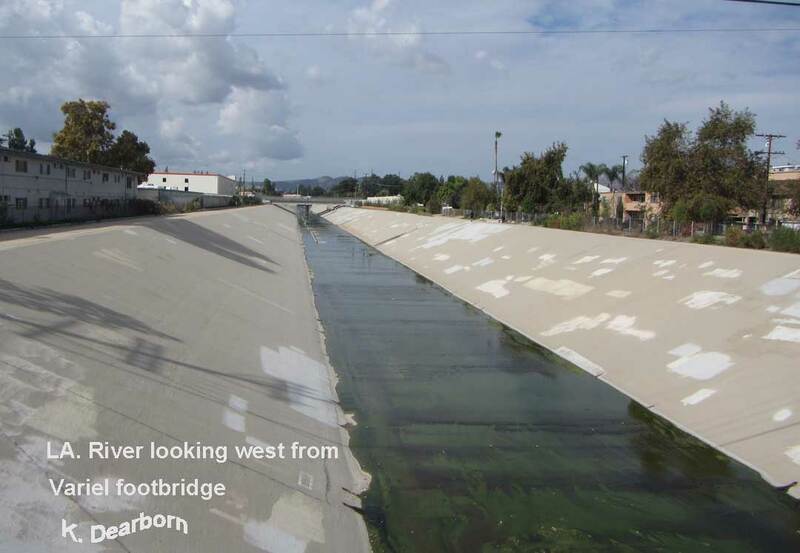 The L.A. River holds the potential of uniting disparate peoples across a large city. The River also can connect disengaged people with the natural world. The section through the Sepulveda Basin is wildness contained, a place to experience wildlife in the city. The non-profit that I work with, Friends of the Island Fox (a program of the Channel Islands Park Foundation) has just wrapped up a year of numerous successful efforts to support island fox conservation. The Channel Island fox has made a strong recovery from the brink of extinction because of the determined efforts of local people. There is much to celebrate, but too often it is overshadowed by mindless tragedy caused by people. Today I reject fear and pledge to reach out and build connections with more of my neighbors. Safety doesn't come through weaponry, it comes through bonds of respect and understanding. Water is life giving. The current drought should be making us more respectful of the naturally occurring water in southern California. 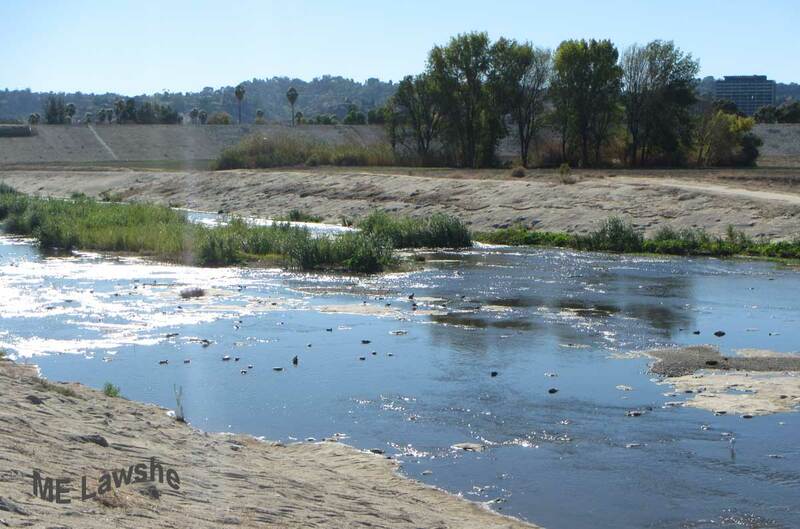 Still many people laugh when Angelenos say we have a river. The Los Angeles River was the center of human habitation in this area for thousands of years. When it created havoc and catastrophic flooding, people confined it to a concrete pathway in order to control its unpredictable ways. Finally, fear is giving way to respect and a desire to allow the River to reconnect with its natural ways. The L.A. River officially begins in Canoga Park, less than two miles from where I grew up and I've always wanted to think of it as a river rather than "a wash" or storm drain. 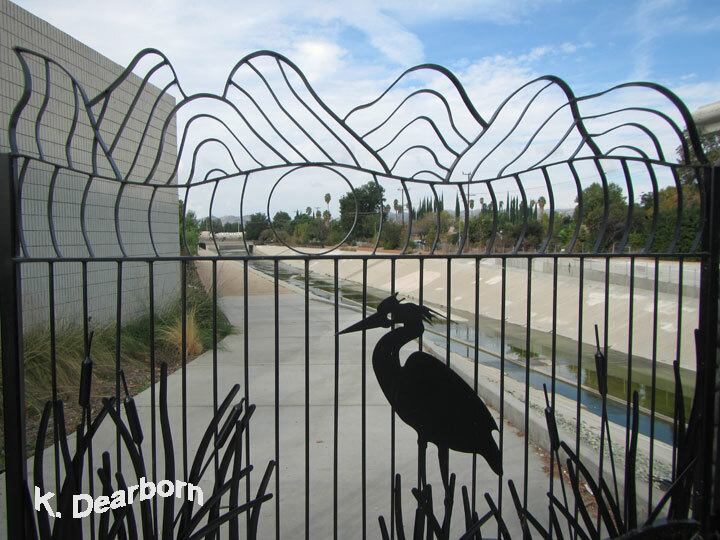 Heron gates at Canoga Ave.
We've been venturing down to the L.A. River for the past nine years. Gradually, new parks and pathways are inviting the public to rediscover the River. 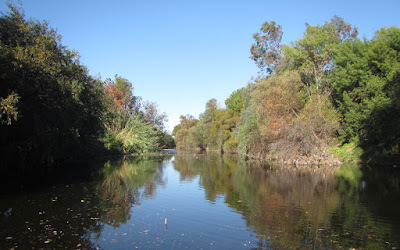 See the L.A. River Headwaters walking path. 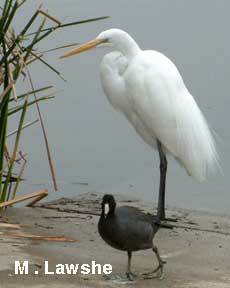 I've been birding the L.A. River in the Sepulveda Basin for years. It is a gem of wildlife habitat surrounded by suburbs. 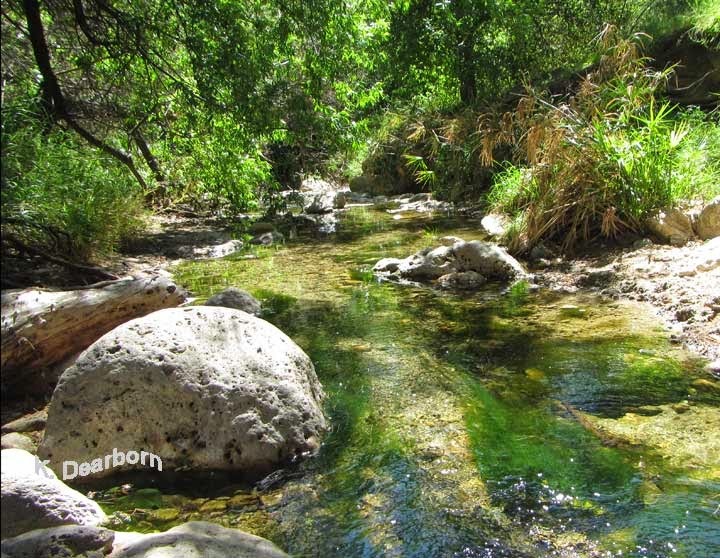 Wouldn't it be wonderful if the whole L.A. River could become a ribbon of life winding its way through the city? I've gotten this idea that I want to walk the River from its birth as a trickle of water in the surrounding mountains to its eventual arrival at the sea. So far I've walked sections from the trail along Bell Canyon Creek to the mid-valley at Tampa. Exploring the River is also seeing the land change, the neighborhoods change, and thinking about the city in new ways. 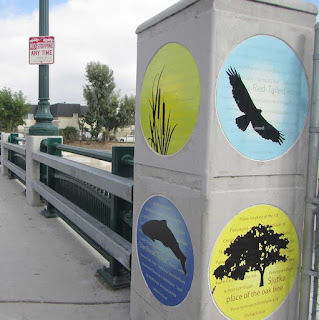 Today, friends joined me in walking the River from Winnetka to the footbridge at Vanalden St. We saw thirteen species of birds and a variety of wildflowers on the native plants landscaping the bikeway. 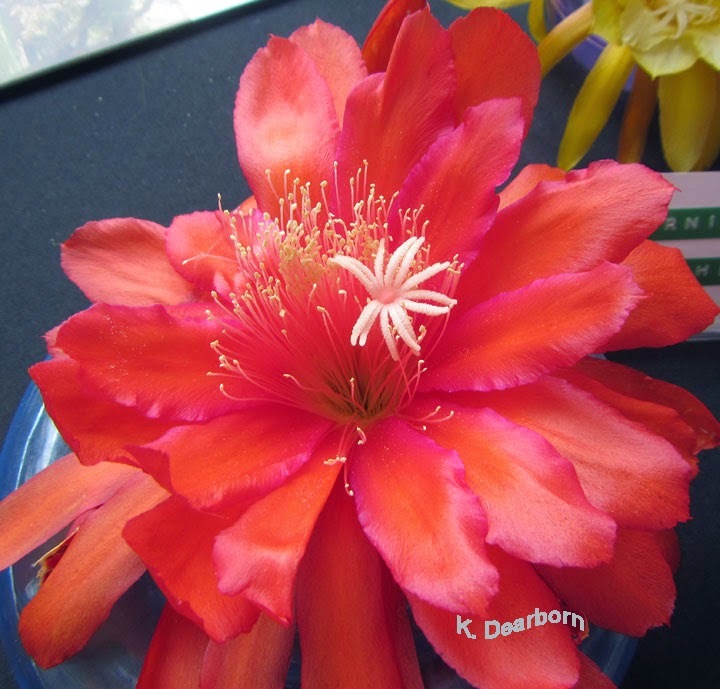 Check out my friend Doug Welch's flower photos on his blog. There is a river near you and it is worth exploring. Two weekends ago, we took a ride up to the Santa Barbara Botanic Garden for their fall native plant sale. 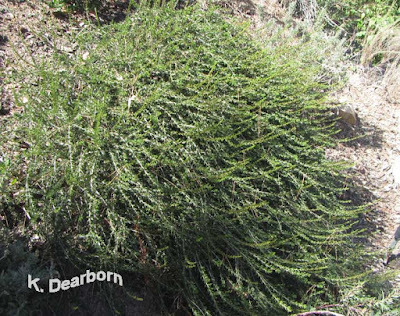 Native plants can stand up to drought, but now is the time to plant those plants. 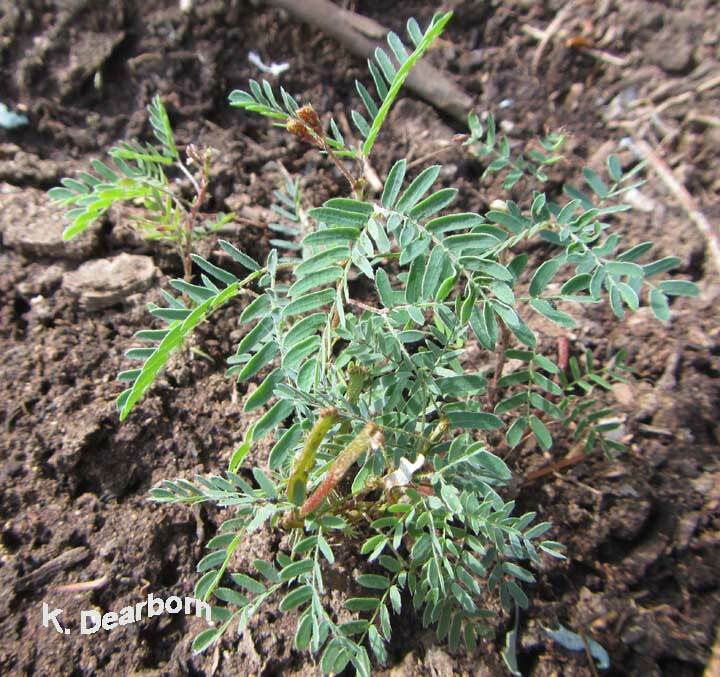 If the rains really do come, it will give your native plants a jump on survival. For us, it is also about maintaining the stability of our hillside. I've been planting, planting, planting. Even some of the seedlings I started this spring are going into the ground. 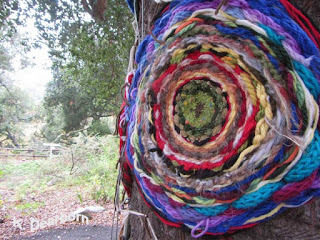 The Botanic garden also had a cross-over art event, a fiber arts installation organized by Yarn Blaster Babes. Check out our Earth Minute videos of the installation How Do Trees Dream? and a school project that displayed How Tall is a Redwood Tree? This creative installation reminds us all to play. Explore trees, plants, and flowers. Don't just look, interact. A new viewpoint may open up some other aspect of your life. The solution to that work challenge might be found while playing in the garden. 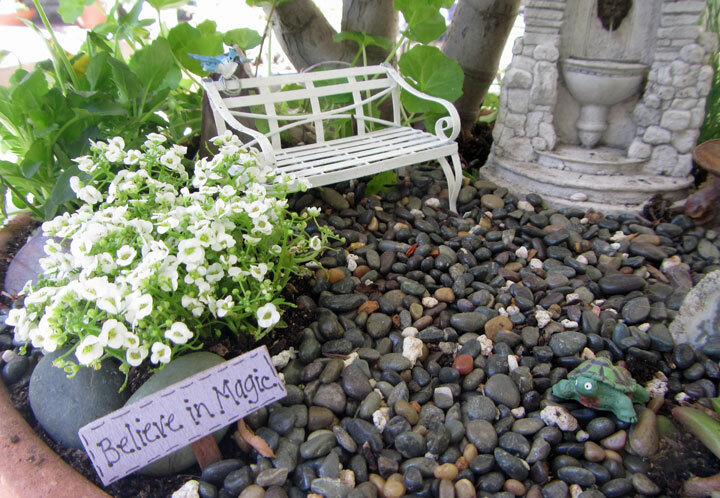 Gardens don't have to be big; make a mini-garden. 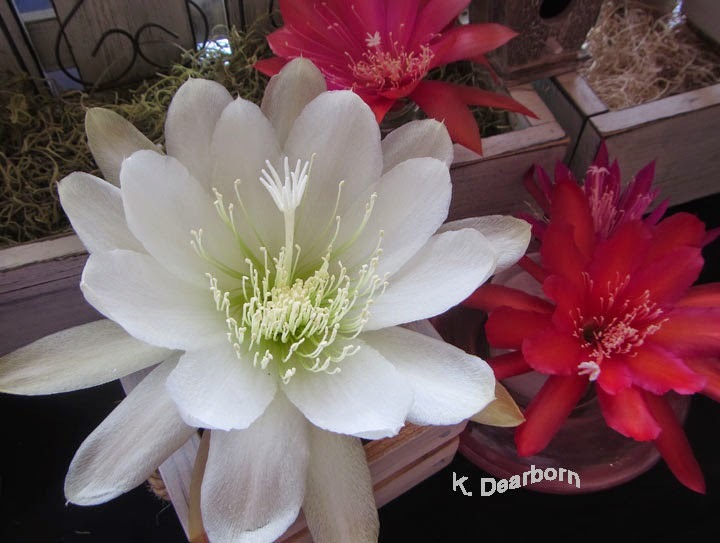 The Santa Barbara Botanic Garden plant sale continues through the end of the month. What more can I say? GO. The drought continues to be a challenge for all of Southern California, but I was heartened this morning by the survival skills of some of my native plants. It is October 1, but these plants are looking well. Video - Take a look at the variety of adaptations in their leaves. 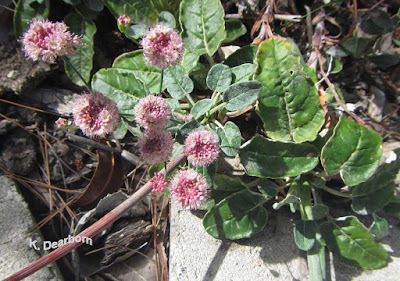 Many of the Channel Island species, especially those from the southern islands, are thriving. The San Nicolas Island buckwheat (Eriogonum grande timorum) continues to bloom and to reseed itself, while the San Nicolas Island chamise (Adenostoma fasciculatom 'Nicolas') is a rich green. Now's the time. Plant those natives! Between pocket gophers and the drought, I admit I'm garden weary. I needed a garden success so I redid my mini-gardens. 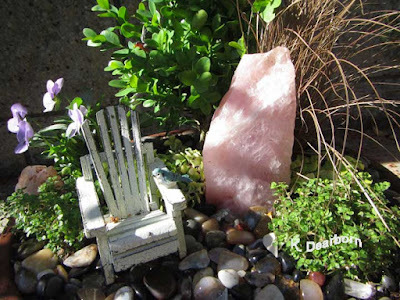 Take a minute and let's redo a mini-garden together. 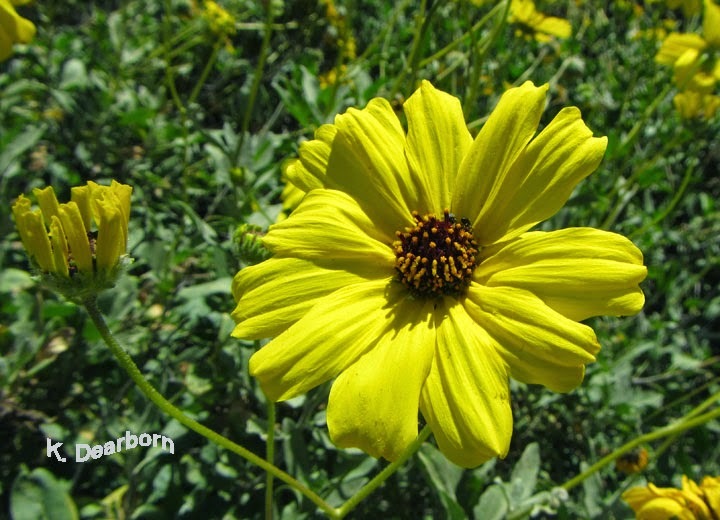 If you are garden weary too, you might also visit a public garden or local California wild place. Visit for inspiration or a bit of nature's calm and let someone else worry about the watering. Why is there a rabbit perched on that man's shoulder? Where else would it sit to watch TV? 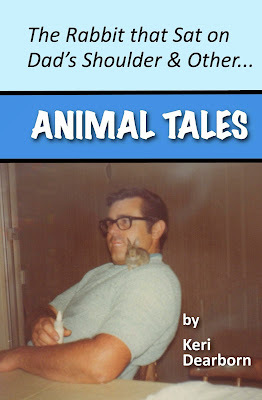 My family is notorious for its Animal Tales and I've just finished compiling them in this book. From California desert tortoises to red-tailed hawks, there were always more furred, feathered, and scaled creatures in our home than people. Travel wasn't worth the destination if it didn't include a skunk, a black bear, or a day dodging cattle on my uncle's farm. I learned parenting from a grizzly bear and survival from a goldfish. Have you ever wondered what gifts a love-besotted hawk gives to his beloved? Do you know the "truth" about hamsters? Have you met my uncle the goat? Dogs, cats, goats, bears, tortoises, even teeny tiny rabbits can bring love, wisdom, and laughter into your life. People love flowers. We don't generally eat them. They don't provide us with shelter. Yet, humans are drawn to the beauty of flowers. Thousands of years ago, when people began living closer together and sanitation was less effective, the fragrance of plants and flowers helped us mask our own stench. Roses were hybridized for their perfume. In the modern world, visual appearance is the main attraction to flowers and two groups of flowering plants have formed a mutualistic relationship with humans: orchids and epiphyllums. 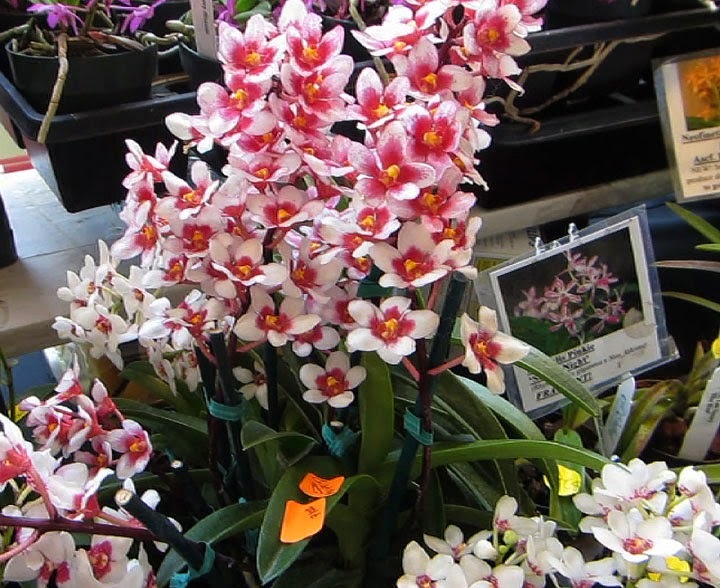 Orchids are ancient flowering plants; species are found all over the world–typically with small flowers. 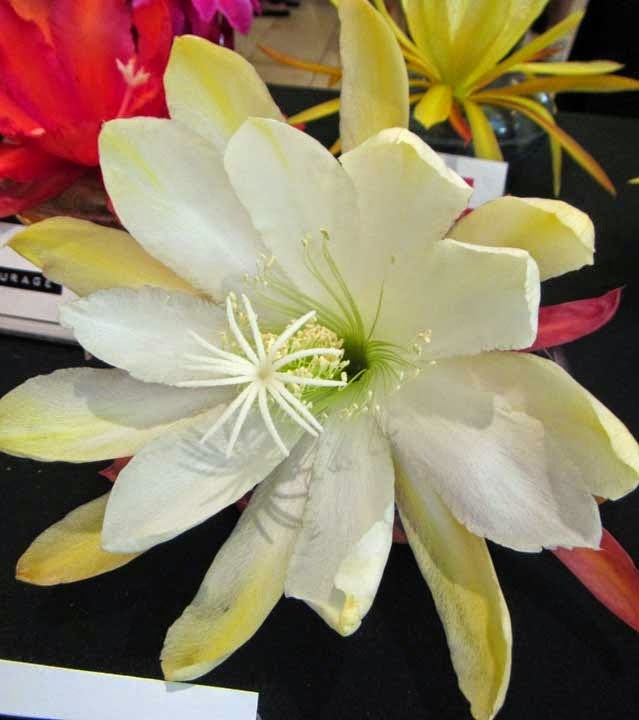 The ancestral plants of epiphyllums live in the forest of Central and South America. While their flowers are fairly large, coloring is minimal because their pollinators are usually nocturnal creatures–bats and moths. 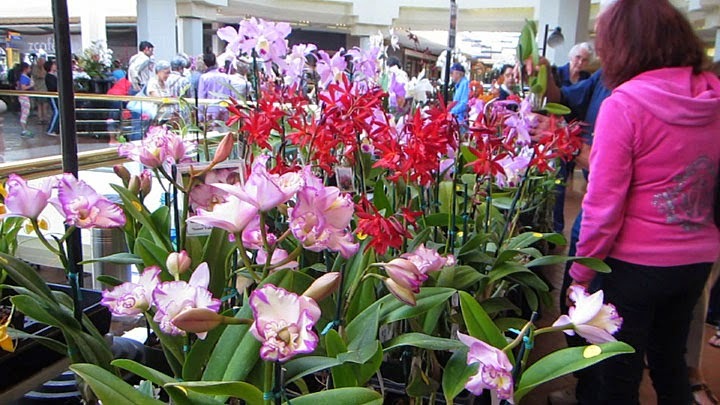 Both orchids and epiphyllums are epiphytic plants. 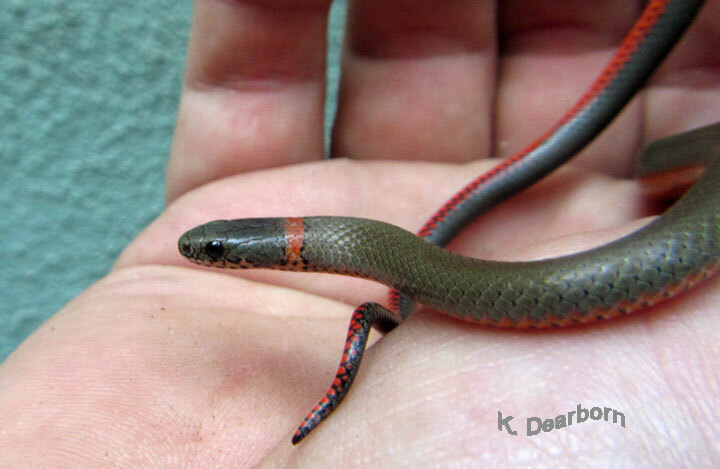 They depend on another plant host to provide a safe location up off of the forest floor. Their seeds settle into the debris caught in the crouch of a tree branch and the epiphytic plant lives happily with little soil on the rain water and nutrients washing off its host. Both orchids and epiphyllums have amazing diversity. People have stepped in to replace the forest trees. We provide tended pots and protected patios. 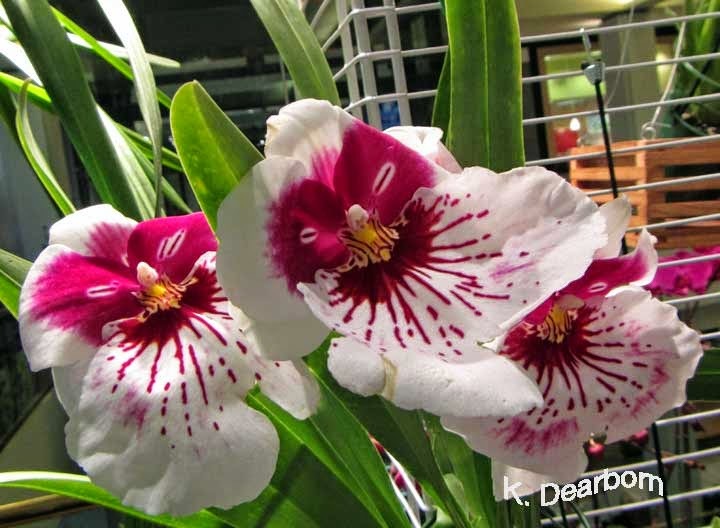 We have taken the place of host plants and the genetic plasticity of orchids and epiphyllums has enabled us to create a broad spectrum of hybridized plants with spectacular blooms. 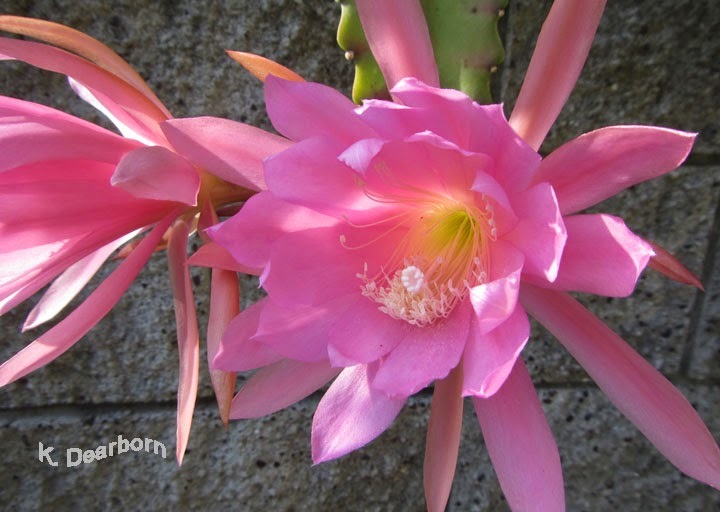 Would these hybrid plants continue to exist in a world without human partners? It is a fascinating question. Could they adapt and attract another evolutionary partner? If there were no flowers, what would we find beautiful? What would take their place? Get out and experience the world around you. Here are two family-friendly FREE events and local places to head out to this weekend in the Los Angeles Area. 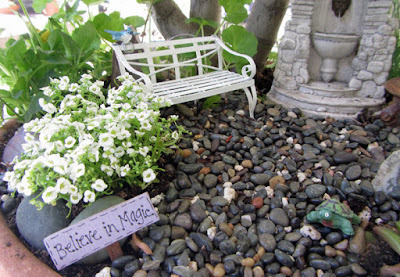 Display gardens, CA native plants, flowers, fairy gardens, bonsai, if it grows you'll find it at the Flower Show. This is a treat for the senses. Did you know there is an orchid that smells like coconut? No kidding. Hikes, presentations with live local wildlife, booths from LA County Natural History Museum, Friends of the Island Fox, National Parks, Del Air Rockhounds and much, much more. 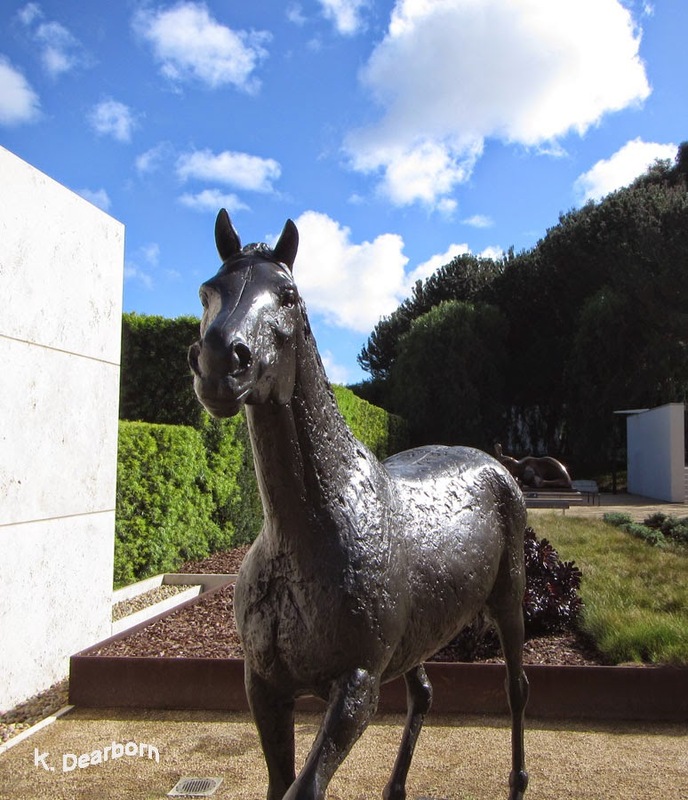 Explore the old Paramount Studios lot for filming westerns and discover local wild California. The visiting winter birds are leaving, long distance travelers will soon be passing though and summer visitors will be arriving. I know who to look for because I keep track in a Backyard Bird Journal. It is a spiral-bound book that lets me document four consecutive years. 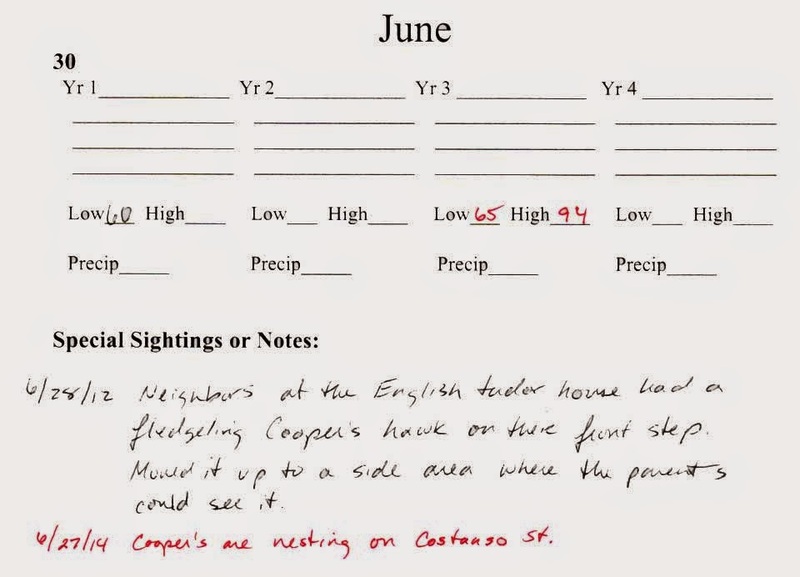 Each calendar day has a space to write specific sightings and weather information. This is where I document nesting hummingbirds. March 3, 2014 there were two active nests: H1 and DR. The chicks hatched within 24 hours of each other. This year we found no nests in the yard. We have heard and seen recent fledglings, but they were hatched somewhere else. The Journal also enables me to see patterns because four years of the same date are side-by-side. Here you can see that March 4th is typically when the Bewick’s wren are out comparing potential nesting sites. Bewick wrens build a nest. You can also see that March 4 was a day that I noted winter visitors–the hermit thrush, Oregon dark-eyed juncos and white-crowned sparrows–were still with us. 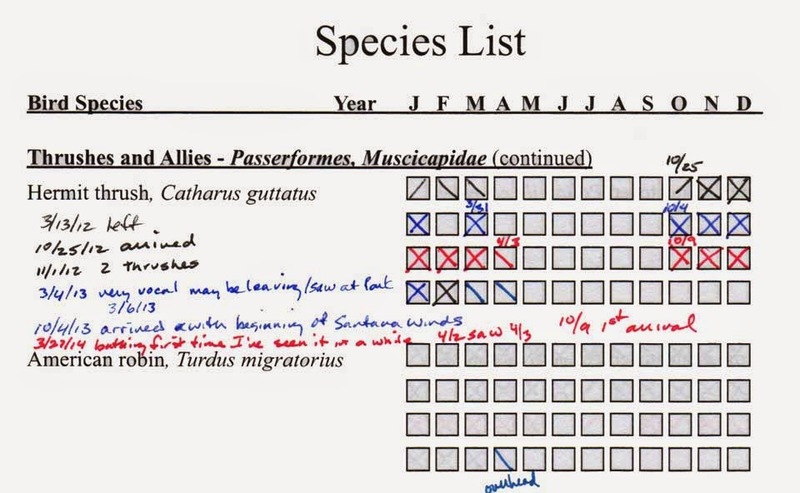 A species listing, with four years of monthly data, at the back of the Journal provides easily accessed information on each bird species. At a glance I can see that since 2012 (the first row of squares) the hermit thrush has arrived in October and typically left by the first week of April. 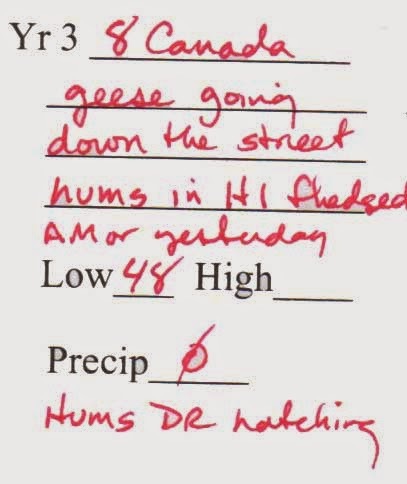 Adding this information to the journals I have kept since 2002, I’ve documented gradual changes in hermit thrush migration. You can also see that 2015 (the last row of squares) was the first time in four years that we have seen American robins in our yard, and that was just flying overhead. From small notations of observations, I know to expect the black-headed grosbeaks this month as they pass through my neighborhood. While the hooded orioles should soon be arriving to spend the summer. Occasionally, I have the thrill of noting something very unusual, like the sighting of an orange bishop. A walk in a natural place clears the mind and invigorates the senses. When you create wildlife habitat in your yard, you not only provide homes and dining areas for creatures, you build a natural oasis for yourself. Take a minute and experience a morning in my California habitat. The plants attract insects, birds, reptiles and the occasional mammal. 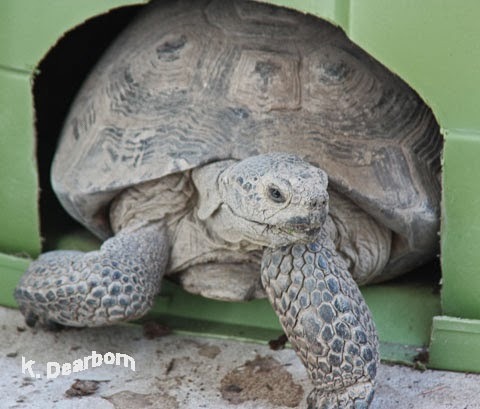 They also provide a healthy home for the California desert tortoises in my care. 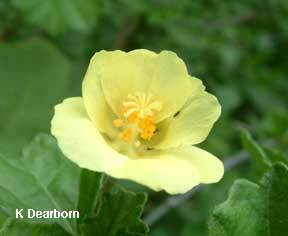 Creating habitat means adding native plants, some for food and some for shelter. Planting natives isn't always successful in the way you envision. The lupine I started from seed was growing quite well until the tortoises roused from their winter slumber. I guess a lupine snack was a spring tonic. In moments, my months of nursing the seed to a vigorous plant was chomped away. 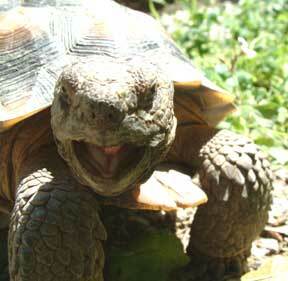 However, native plants help to keep the tortoises healthier. Wildlife habitat also means staying away from insecticides and herbicides, and managing dead wood so that animals have places to nest or hide, while still eliminating fire threat. A small water source is also very important. To see more creatures living in our wildlife habitat check out the lizards, Valley carpenter bees, gray bird grasshopper, Bewick's wrens and more on The Earth Minute - wildlife. 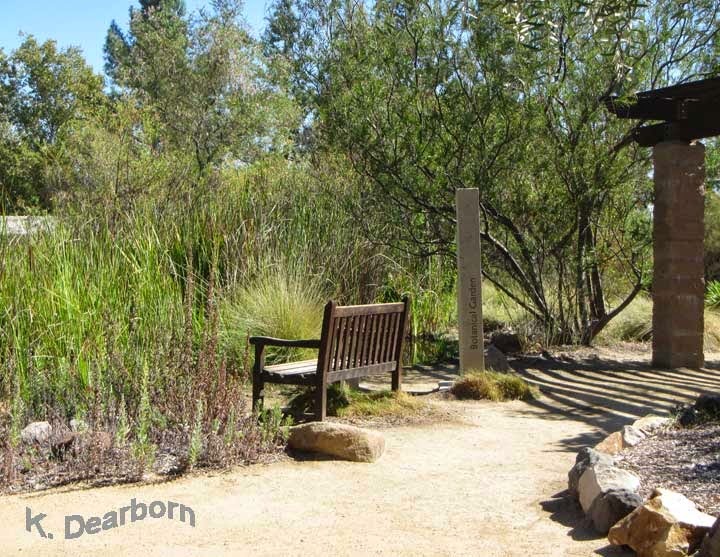 To inspire your own gardening choices check out one-minute visits to L.A.'s Hidden Gardens like the Pierce College Botanical Garden pictured below. While our unseasonably warm January/February weather was enjoyable for us humans, it challenges normal life cycles for some of our native California insects. The warm weather convinced many butterfly and bee species that spring had arrived. Then, just as suddenly, winter returned with cold damp days challenging their survival. Typically insects overwinter in one developmental stage. 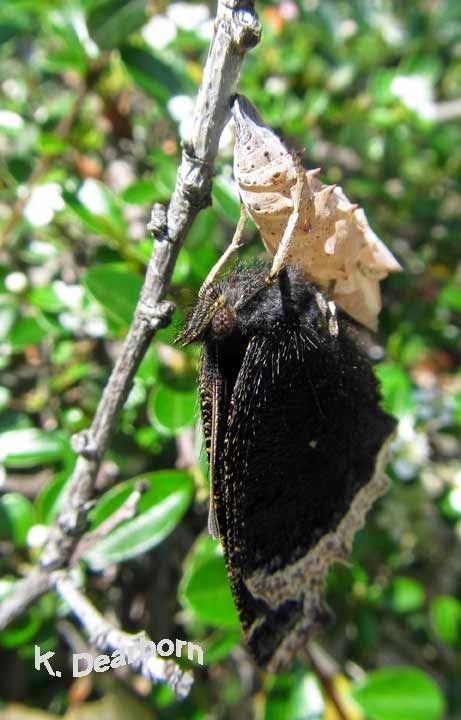 Some butterflies like the monarch and the mourning cloak overwinter as adults, while others overwinter as a chrysalis waiting for spring to metamorphose into an adult. Preying mantises overwinter as eggs. 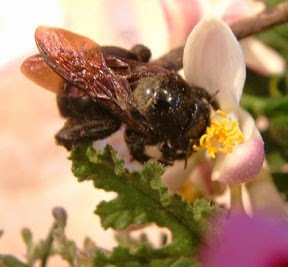 The female Valley carpenter bee (Xylocopa varipuncta) overwinters as an adult, her male counterpart does not survive the winter. When the female emerges from a winter torpor in the spring, she starts laying eggs to start a new generation. It takes 40-45 days for the young bees to mature from egg, to larva and then emerge as adults. In early January I was surprised to see a female Valley carpenter bee active and stashing supplies in a carved-out wooden den. Now in the last few days, these young Valley carpenter bees have begun to emerge. Unfortunately, instead of the warm spring weather they were expecting to find they have emerged into crisp winter days with cold nights. Tuesday evening walking home from voting, I found this newly emerged female Valley carpenter bee listless on the sidewalk. She was cold and appeared thin. She was just able to cling to a stick that I used to pick her up. 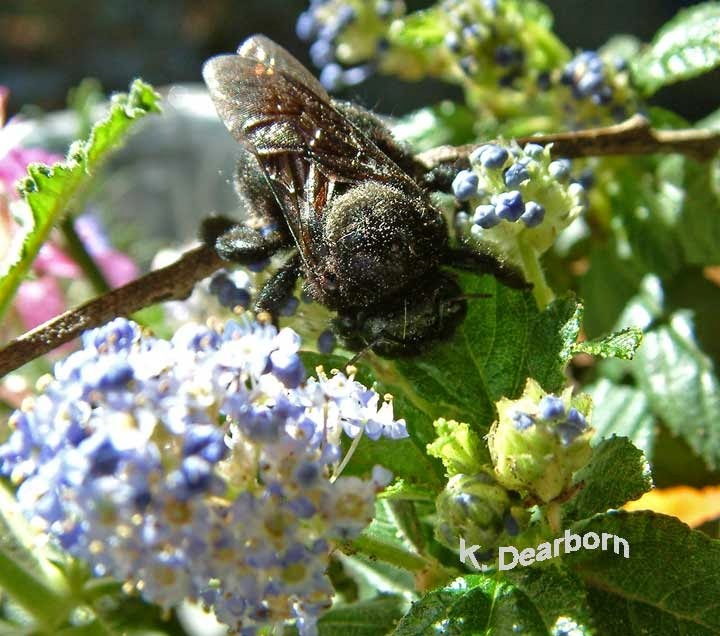 I found some native ceanothus flowers and other blooms that I have seen Valley carpenter bees frequent. I put the flowers with the bee in a bug box. We kept her in the house over night. In the morning I was afraid she had not survived the night, but she showed a bit of movement. We opened the box and put her out in the sun in the yard adjacent to flowering plants. By mid-morning she had warmed up and flown off. The weather is warming again. I hope she survives to pollinate the spring flowers and raise a family of her own. When thousands of years of evolution have timed your entrance into the world to coincide with specific weather and blooming plants, small changes in that series of events can challenge your survival. These are the small impacts of climate change that many of us do not notice, but which will eventually add up to large change. Hummingbirds challenged by weather changes. Climate changes to native plants and the animals that depend on them. 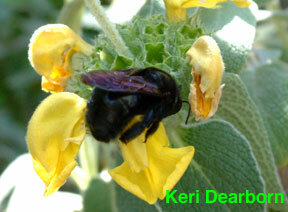 Video of busy Valley carpenter bees on The Earth Minute. Compare them to European honey bees. What's the current name for, what I knew as, the Oregon Junco? Sometimes it does seem like bird names are constantly in flux. However, this is a different situation. There are several, what Sibley refers to as "regional populations" of dark-eyed juncos. Dark-eyed juncos (Junco hyemalis) are found across North America. These are migratory birds traveling long or short distances in seasonal north-south migrations. Some regional populations, such as in southern California, migrate within a region by elevation. These forest birds don't like cold, but they aren't keen on hot weather either. They tend toward a moderate climate. (I think I might be a junco.) Most dark-eyed juncos spend the winter in a moderate climate, then migrate north or higher in elevation to breed in a forested area. The most common dark-eyed junco in California and along the west coast is the Oregon dark-eyed junco. These are the small sparrow-type birds with brownish bodies, white bellies, and a distinctive blackish hood on their head. The males hood is more distinctive, females may appear to have a more gray or "sooty" hood. 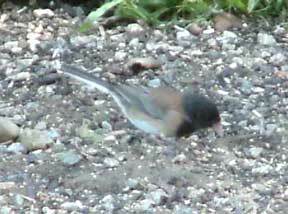 Occasionally, we also see slate-colored dark-eyed juncos in the Los Angeles area. We have had a slate-colored junco visit for a short time in 2012 and again this February. These juncos are slightly larger. Their appearance is similar except the dark coloring tends to be more all-over slate gray and the hood is less defined or not defined at all. This junco population is found across the U.S. during the winter and summers in the Taiga forests of Canada, Alaska, and the northeastern U.S. In our southern California backyard, we have 2-10 Oregon dark-eyed juncos that spend the winter in the native habitat we've tried to recreate. 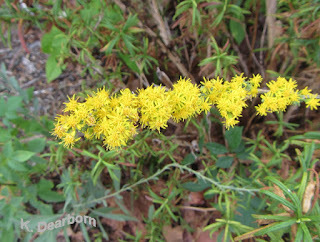 They tend to arrive late September or early October. In 2014 and this year they arrived Oct. 15 and Oct. 7 respectively. They stay through March. (However, in 2013 they stayed until the first week in April and in 2014 one lingered until May 1.) Initially we had two males that came in 2000. Now we see males and females, but always more males. These individuals always leave to breed somewhere else. They may be only migrating to spend the summer at higher elevations in our neighboring Santa Monica Mountains or they may be going as far as southern Alaska and Canada's Yukon Territory. I was thrilled in 2013 to see a female Oregon dark-eyed junco raising two chicks in Alaska. I'd never seen dark-eyed junco chicks before. This industrious mom was leading her two flightless youngsters along the ground through the black spruce forest. She was constantly catching insects and stuffing them into open mouths. There was no male around. All of the junco families I saw were single-mom affairs. In 2014 we saw pink-sided dark-eyed juncos in Teton and Yellowstone National Parks. White-winged, red-backed, and gray-headed dark-eyed juncos are all still on my "to see" list. For more on identifying dark-eyed juncos check out Cornell's All About Birds. Labels: Animalbytes, bird identification, birding Southern California, dark-eyed junco, junco, Juncos in Los Angeles, Keri Dearborn, Oregon dark-eyed junco, what is a junco? Great Backyard Bird Count - Go Out & Count Birds! 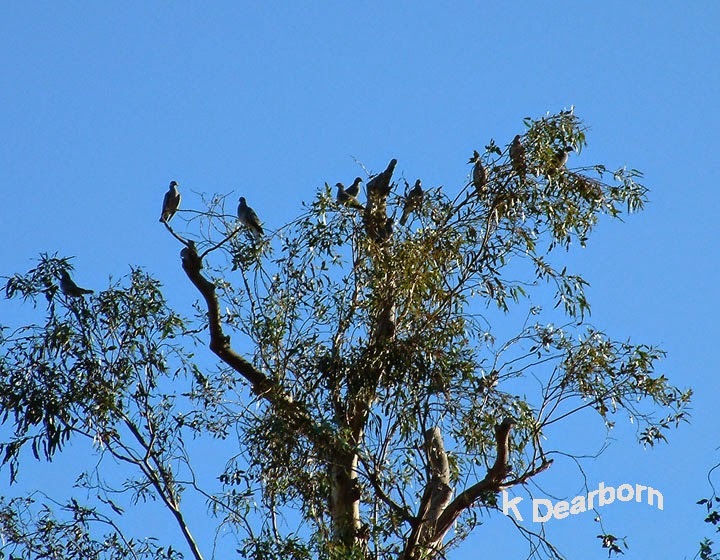 Can you see the nine band-tailed pigeons (Patagioenas fasciata) in the eucalyptus tree? Today, Friday, February 13 marks the first day of the annual Great Backyard Bird Count 2015. All around the world people are out counting the birds in their yards, neighborhoods, parks and wild places. The real world has no fences! The Santa Monica Mountains and the Pacific Ocean are my backyard! It's easy and important. When you count and enter your data on-line at http://gbbc.birdcount.org you are contributing to science and the world's knowledge of bird populations and migration. How is the snow in Massachusetts impacting birdlife? Will they see fewer birds than the last 18 years of GBBC? This February day in southern California is going to be in the 80s. Are our winter migratory birds still here or have they left? This morning in our yard I saw 87 individual birds from 22 species, including this white-throated sparrow (Zonotrichia albicollis) which is somewhat rare for the Los Angeles area. The white-throated sparrow typically is a winter migrant to the south-eastern U.S. Some winters, a few show up here. E-bird and the Great Backyard Bird Count help to track these occurrences. Are more white-throated sparrows spending the winter in southern California? Is their range changing? How do you count? Take a look at what you see at one time. 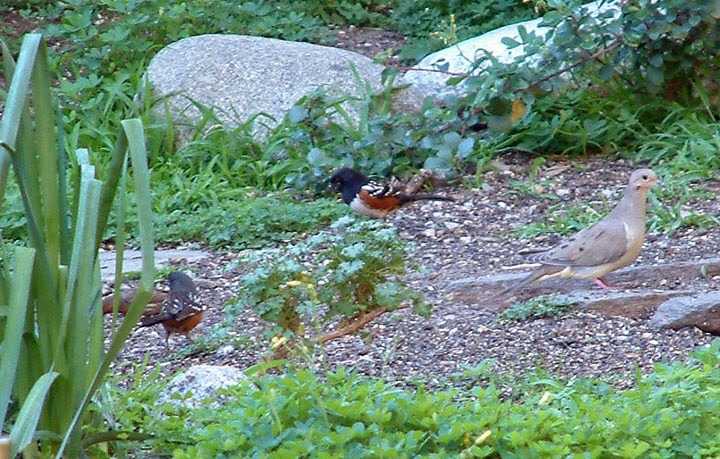 For example in the photo above: two spotted towhees (Pipilo maculatus) and one mourning dove (Zenaida macroura). Counting in my yard. You don't accumulate the number, you go with the highest number of that species that you see at one time. I'm going to a neighborhood park today: Serrania Park. My husband will take a few minutes at work to go outside and count. Maybe one of L.A.'s Hidden Gardens is near you. They are a great place to see birds. Last year people counted more birds than ever. Let's break the record again. Get out there and Count Those Birds! It's 66˚F outside at 2:30 pm on a January day. The sky is clear, the day is beautiful. Our mid-winter in southern California is mild and lovely. Unfortunately, people have difficulty seeing incremental local climate changes if those changes do not have a concrete negative impact on themselves. In addition, most people who have relocated to Los Angeles from places with snowy or harsh winters do not even notice our subtle seasons. Today however I came face-to-face with an impact from drought and climate change that is having a direct impact on my neighbors and their migratory relatives. 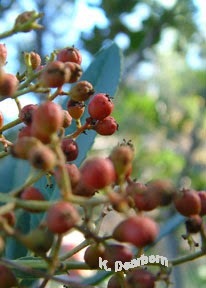 The toyon or California holly should be filled with red berries (what toyon should look like in December/January). Because of the drought the two bushes in the front of the house did not fruit at all this year and the toyon at the top of the hill has fruit that look like this...small and unripe. The northern mockingbird that only occasionally visits our yard was here this morning hunting for fruit, it found none. 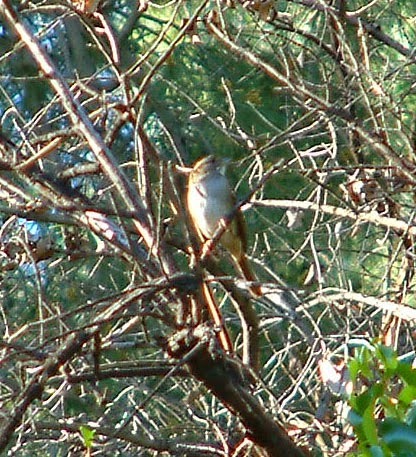 The hermit thrush who visits annually was also searching for toyon fruit. Unlike the mockingbird, it has come here from the north to spend the winter in a location that should offer winter fruit. Both are having to supplement their diets with more insects. High in the eucalyptus tree the mewing cries of a small flock of cedar waxwings caught my attention. Twenty-seven of these fruit-eating birds sat pondering their next move. They too were here looking for the toyon berries that they expected to find on our hillside. When they found nothing, they went hungry. They regathered and flew on. For these birds, drought means smaller, less nutritious food. But subtle changes in our climate are also altering when the fruit ripens. Imagine driving across the Mojave desert with the plan to stop at that favorite restaurant only to find that the town is closed up and the next place to find food is 100s of miles away. Subtle changes in our local climate are impacting wild species that are tied to the fruiting or flowering of specific plants. We need to increase our awareness. Why create habitat in your yard? Because when you interact with other living things you have a better understanding of yourself. Sounds a bit heavy-handed, but I believe it. 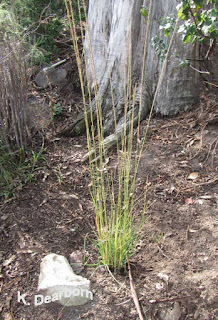 A backyard with habitat attracts native species. Today a red-tailed hawk watched me trying to apprehend a pocket gopher. Check out video of our resident Bewick's wrens, valley carpenter bees, lizards, grasshoppers and red jumping spider. Living in a metropolitan area, my interactions with large animals come when I'm off hiking or traveling. This summer I had an amazing encounter with a bull Roosevelt elk (Cervus elaphus roosevelti). 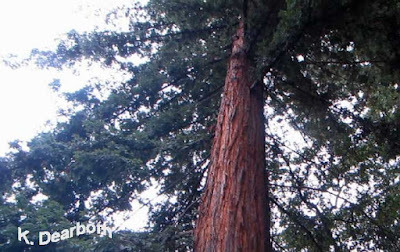 He was right off a heavily trafficked trail in Redwoods National Park, but few people noticed him. The Roosevelt elk is the largest subspecies of elk surviving in North America and this male was huge, the size of a large horse. He stood 5 foot to the shoulder, with a long neck, and antlers that reached 3-4 feet up from his head. Bull Roosevelt elk average a 16-year life span in the wild. The older the male the larger and more branched his antlers. Elk antlers are a renewable resource; they drop off after the breeding season and are grown anew the following year. The older male shown here is just entering the rut, or breeding season. While the antlers are growing they are covered with a thin layer of tissue and are vascular, blood flows through the bony growth. As the breeding season approaches in the fall, antlers stop growing. Blood stops flowing through the antler and thin skin layer. The tissue covering dries up and the bull rubs his antlers against bushes and other vegetation to remove the velvety covering. Here you can see that this male has been removing velvet that still had some vascular circulation; his antlers appear bloody. With the beginning of the rut, male elk are filled with testosterone. Breeding and competing for females take priority over any other activity, even eating. Few males remain the dominant or top breeding male for more than a season. A top male will frequently be so worn out by the end of the rut that he does not have the energy reserves to survive the winter. 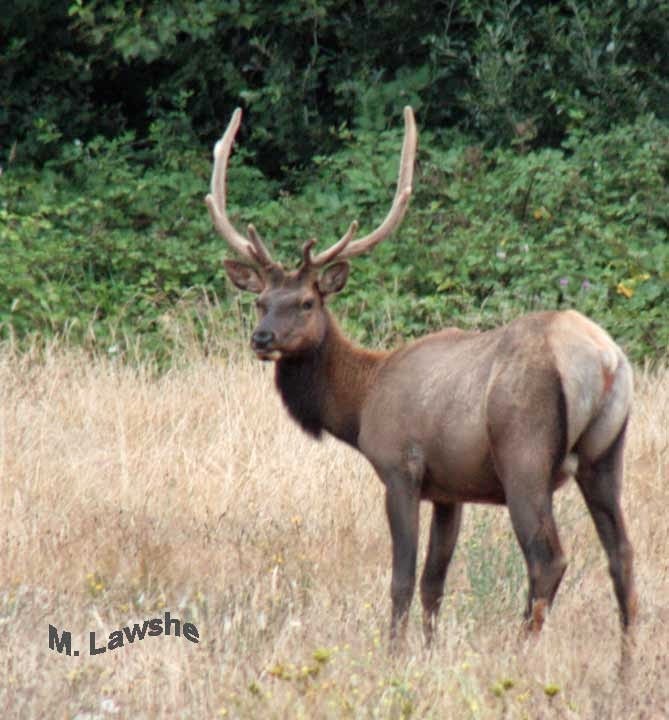 The Roosevelt elk is found only along the northwest coast from northern California, to Oregon and Washington, and on two Alaskan islands where they were introduced. 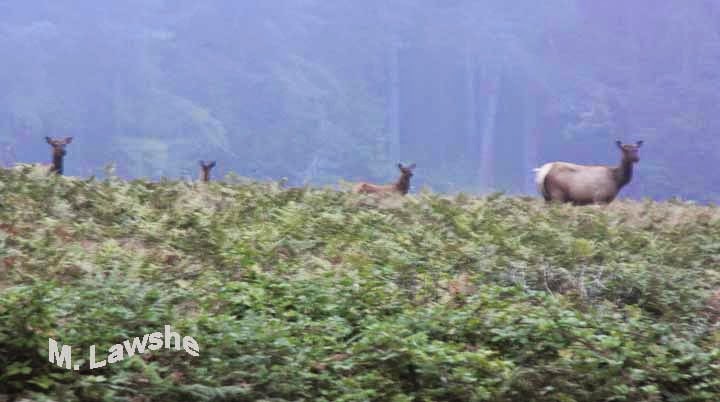 The subspecies was named for President Theodore Roosevelt who created Olympic National Park in Washington state as a preserve for the 20 remaining members of this elk subspecies in the early 1900s. Today over 7,000 individual Roosevelt elk can be found across their range. They are another example of successful conservation, including well-managed hunting. 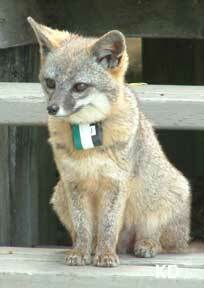 Channel Island Fox. 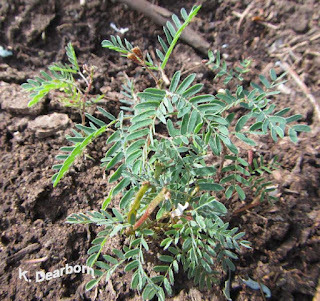 This large member of the deer family plays an important role in clearing the forest understory. They help keep forests healthy by creating open space for other animals and encouraging the growth of young plants. 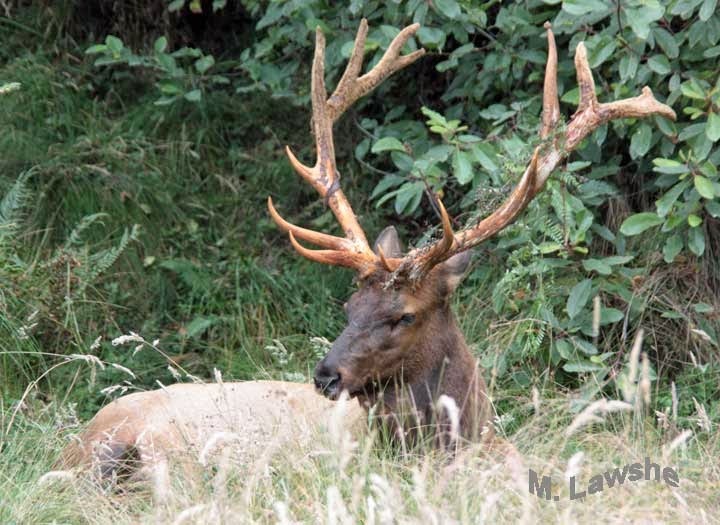 Healthy elk populations, however, need predators. Let's keep our fingers crossed for the gray wolves making their way back into California and the mountain lions trying to maintain healthy numbers. 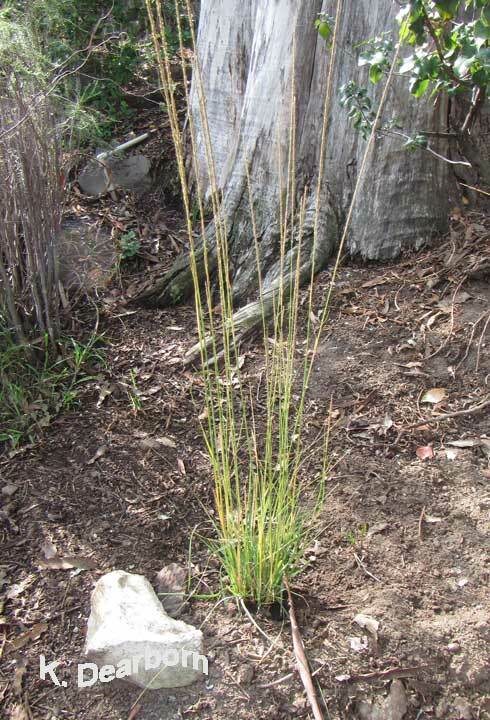 In the mean time, make 2015 the year you make your backyard a habitat for native plants and wildlife.